It’s just like the old saying goes: The door to one mega-budget, effects-heavy, nostalgia-mining franchise closes and another one opens. 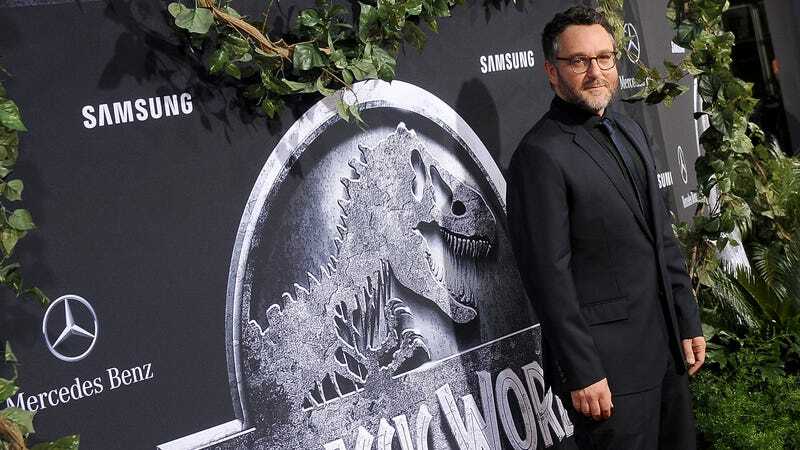 Steven Spielberg today told Entertainment Weekly that Colin Trevorrow, the man behind 2015’s massively successful (and relentlessly self-referential) Jurassic World, will be writing and directing the third entry in the rebooted series. This is a kind of vindication for Trevorrow, who was last in the news for leaving a giant sci-fi series, not returning to one. The filmmaker, remember, was originally tapped to direct the final installment in the new Star Wars trilogy—a gig he had most likely secured thanks to all the records Jurassic World shattered during the summer of 2015. But there were, as they say, “creative differences,” and in September, it was announced that Trevorrow was parting ways with Lucasfilm, which was reportedly unhappy enough with his script to bring in a new writer. The news of Trevorrow’s departure arrived on the heels of his notorious, lunatic, so-bad-it’s-still-just-bad passion project The Book Of Henry, leading some to speculate that the suits at Disney were spooked off by the negative reception to his modestly budgeted film maudit. Or maybe it’s just really hard to hold on to the job of directing a Star Wars movie. Just ask Josh Trank. Or Phil Lord and Chris Miller. Possibly because he was busy laboring away on a project he wouldn’t get to complete, Trevorrow did not direct this summer’s Jurassic World: Fallen Kingdom, which fell instead into the hands of J. A. Bayona (The Impossible, A Monster Calls). Incidentally, Trevorrow’s replacement on Star Wars: Episode IX is J.J. Abrams, meaning that both directors will now be completing the reboot trilogies they launched. Which raises the bigger question of why studios keep playing franchise musical chairs with the same dozen white dudes when there’s a whole world of other options out there. You know who would probably make a really killer Star Wars or Jurassic Park movie? Bong Joon-ho. The guy knows a thing or two about elaborate fantasy worlds and rampaging CGI creatures, after all.